Implant supported dentures are a relatively recent development in the field of dentistry and provide an excellent alternative to full or partial dentures. They are particularly well suited to patients who are missing all the teeth on their upper or lower jaw but don’t want to opt for a full set of dental implants. 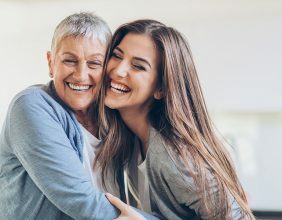 While you have probably heard of dental implants to replace individual teeth, you may not be aware that implants can also be used to secure dentures. 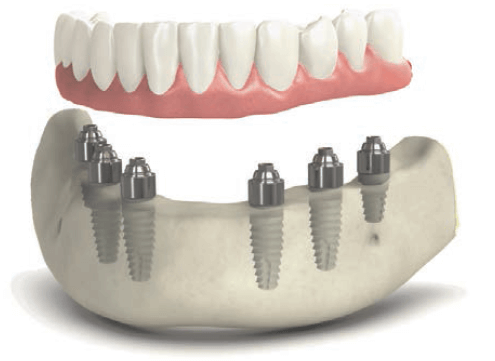 Implant supported prostheses sit on top of the gum like normal dentures, but unlike typical dentures they are anchored by implants fixed securely into the jaw. This makes them closer to natural teeth in terms of their stability, strength and appearance. 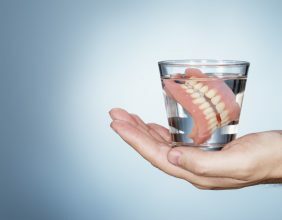 Denture implants (often referred to as implant supported overdentures) are used when a person has no teeth in their jaw but still has enough bone to support the implants. 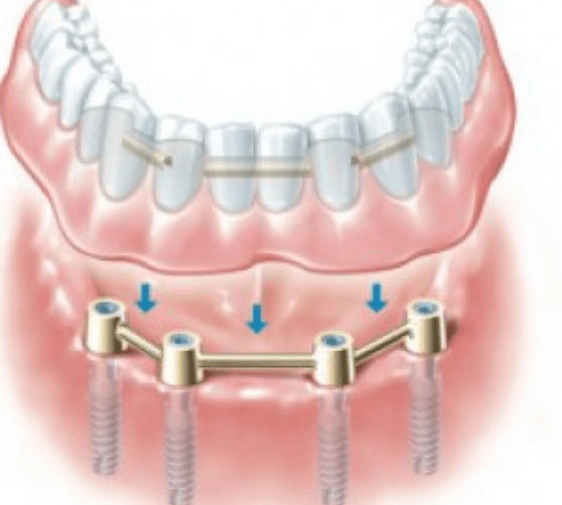 The denture attachment clips securely into the implants and can be removed as necessary. 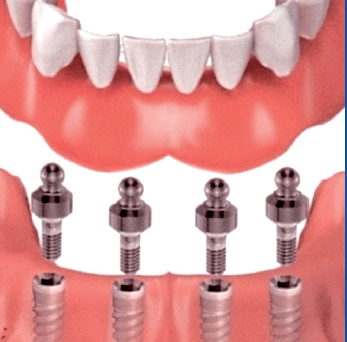 An implant-supported bridge is also secured by implants that are fixed in the jaw, but it is not removable. Dental implants stimulate new bone growth in the same way that natural teeth do, so they minimise the bone loss that can be a problem with traditional dentures and help preserve the natural aesthetics of the face. There are number of benefits associated with implant supported dentures or bridges over more traditional alternatives. Extra stability: Because they are secured to the jaw, implant supported prostheses don’t move around in the same way that tooth supported dentures do. This makes chewing much easier and there is no risk of them sliding out whilst you’re speaking or eating. Improved appearance: Implant supported dentures/bridges look like natural teeth for a better appearance when compared to standard dentures. 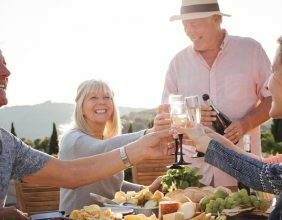 Greater functionality: Because implant supported dentures and bridges are secured to the jaw, they are extremely strong and allow you to bite into foods that are usually considered off limits for denture users. Best of all, you can enjoy a wide range of different meals instead of having to limit your diet to soft food. Reduction in bone loss: When the gum lacks stimulation, as it does with normal dentures, you can experience bone loss in your jaw. Implants stimulate the gums in the same way as your natural tooth roots. This can reduce the chance of your jaw shrinking or changing shape after tooth loss. 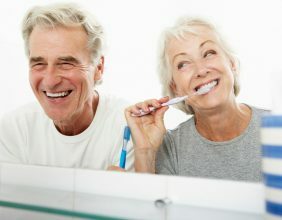 Implant supported dentures and bridges are a popular alternative to tooth supported dentures and they offer a great deal of benefit for most patients. There are a number of different types of dentures and implant supported solutions to suit different patients. Get in touch with us today to find out if implant supported prostheses could be right for you.